WANT SIMPLY STUNNING AND BEAUTIFUL EYEBROWS? 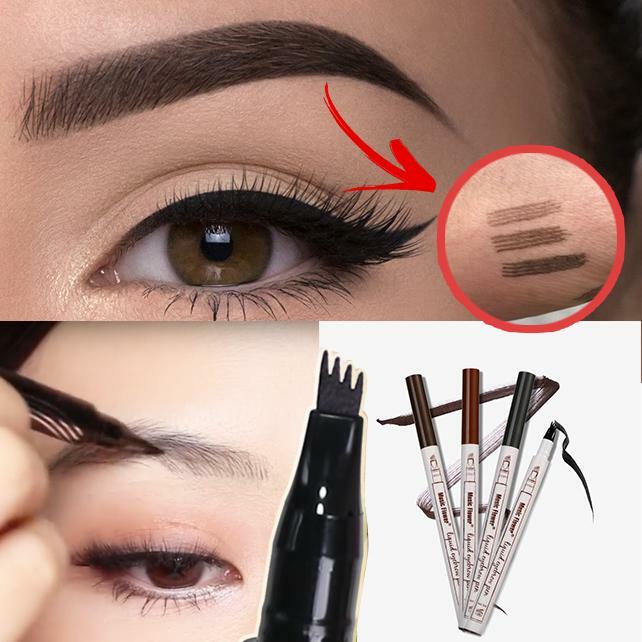 This Patented Microblading Eyebrow Pen will help you achieve that 'Natural, Professional and Long-Lasting Eyebrow Look' in only a few seconds. WOW your friends and attract plenty of attention with your Amazing 'Natural-Looking' Eyebrows that are 'Completely Captivating' and embody that 'Deluxe-Look'. 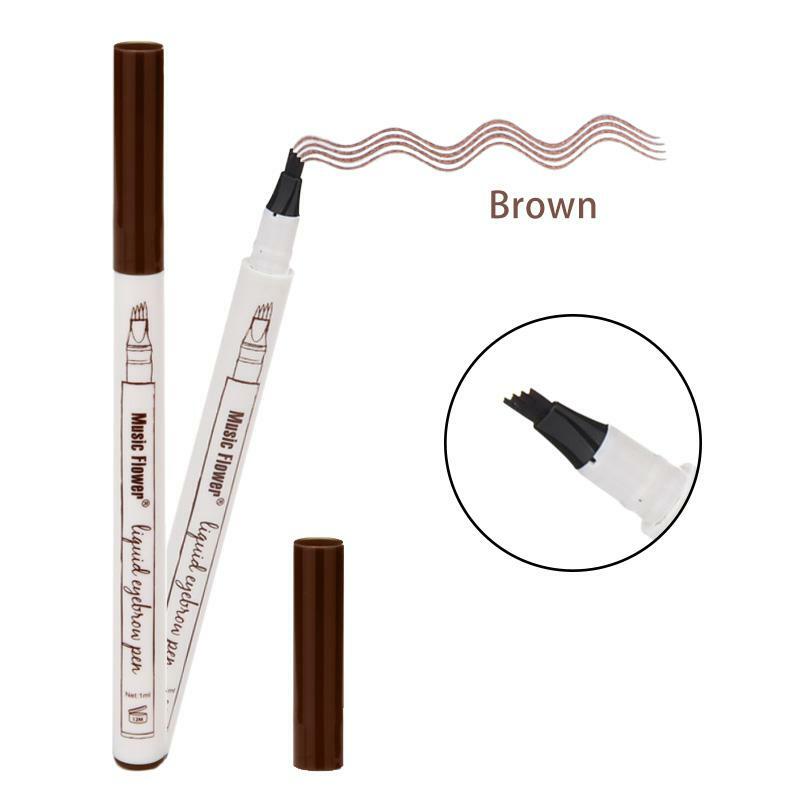 A highly comfortable, Long Wear Tattoo Brow Ink Pen featuring a micro-fork tip applicator that creates hair-like strokes for brows that last all day. Get the perfect eyebrow daily with just a few seconds! Introducing Sleeq's latest edition for Eyebrow Tattoo Ink. The lightweight formula glides on a thin coat of colour that intensifies as it sets to a real hair pigment. Transfer-free finish with amazing staying power. You might even forget you're wearing anything on your brows at all! It looks so impossibly natural, no one can even notice! Unique Design: With a four-tooth tip design, easily and quickly create 'natural-looking' eyebrows. 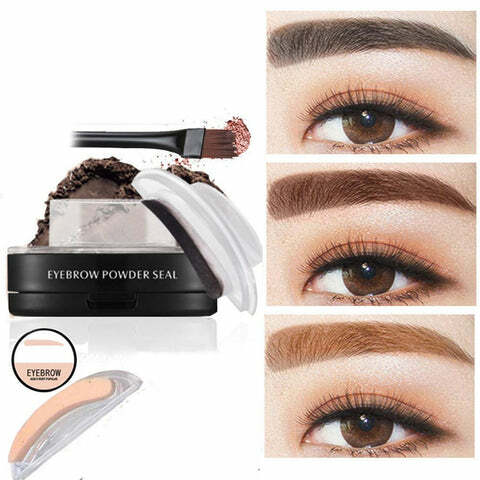 Natural Eyebrow Shape: The Fork tip tattoo eyebrow pen is very thin and capable of easily drawing a variety of natural eyebrows, get rid of the ordinary eyebrow pencil that creates unevenly painted eyebrows. Waterproof and Long-lasting: Your Magic Eyebrow Pen creates eyebrows that are waterproof, sweat-proof and smudge-proof for 24 hours. Perfect for Professionals and Beginners: Whether you are a professional or beginner, you only need a few seconds to create natural, long-lasting eyebrows. Easy to Remove: You only need to wipe it off with makeup remover or cleansing oil to remove the eyebrows completely. Gently apply the pen to draw the contour of the eyebrow, then continue to evenly colour inside and along the brow-shape. If you have Sparse eyebrows then firstly sweep away to shape and define the brows contour, then gently draw to define the brows on the perimeter of the sparse area. Finally, use the pen to fill in colour on a 45-degree angle to evenly create the perfect 3D eyebrows. This is the best eyebrow filler... 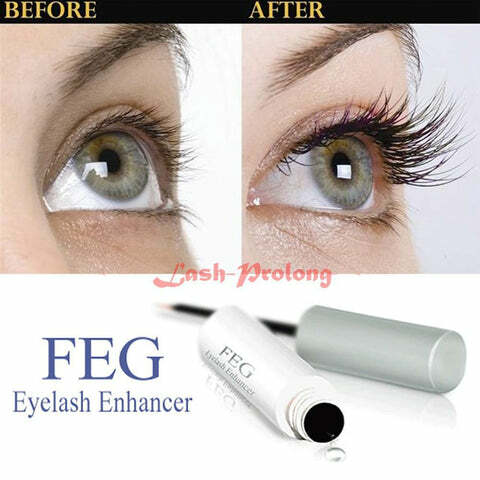 The pen is fine and fills or touches up your eyebrows so they look natural.worth the purchase! Pleasing results with this product thus far. Would recommend it to friends!